While staying n Orillia, we searched for a place to have breakfast on the day we were leaving. We wanted somewhere in Downtown Orillia, close to the hotel we were staying at. We found the reviews for Tammies Place pretty good, so we decided to give it a try. You know a restaurant that specializes in breakfast is good when you pull up and the parking lot is full, and the overflow parking lot only has a couple of spots left, with an unusual amount of police vehicles in both lots and on the street. Expectations were high! and I had 2 eggs, bacon, ham, and sausage. The food was delicious, and the portions were big. We all had leftovers, which we got packed up for us. All in all, we would definitely come back to Tammies Place when in Orillia. It really is a great restaurant, and judging by the amount of people eating there, it is another on of Orillia’s foodie hotspots. Tammies Place has a full breakfast menu sure to please the most pickiest of eaters. I know, because I am pretty picky, and found something that I loved! Be sure to try their milkshakes as well. So good! Grab some Breakfast at Tammies Place! 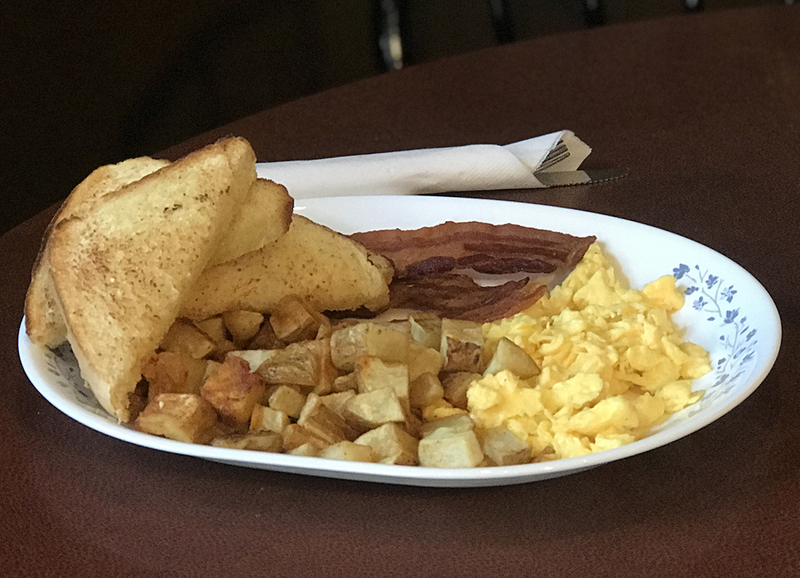 If you are looking for a great way to start your day, check out Tammies Place in Orillia. Big hearty breakfasts and lunches served with love and care, and amazing small town hospitality.